Is "Qi" relevant to today's Taiji boxer? 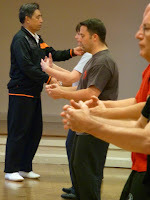 I recently followed the comments of a long time Taijiquan player on the internet. He was decrying the dilution of the traditional art and came to the conclusion that this was the fault of the current generation of silk-suited believers in "Qi". Was he right? Is Qi no more than an interesting historical concept of little relevance to today's Taiji boxer? 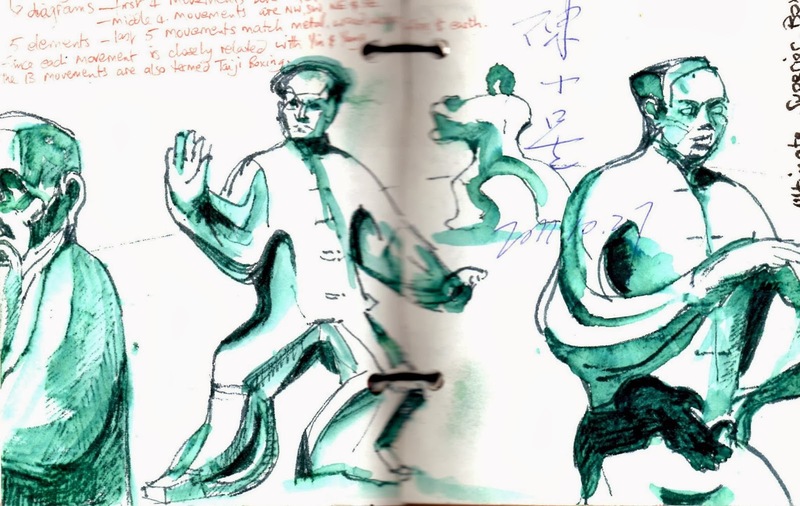 Or is it a central concept that must be understood if we are to understand the art of Taijiquan as it has been passed down? 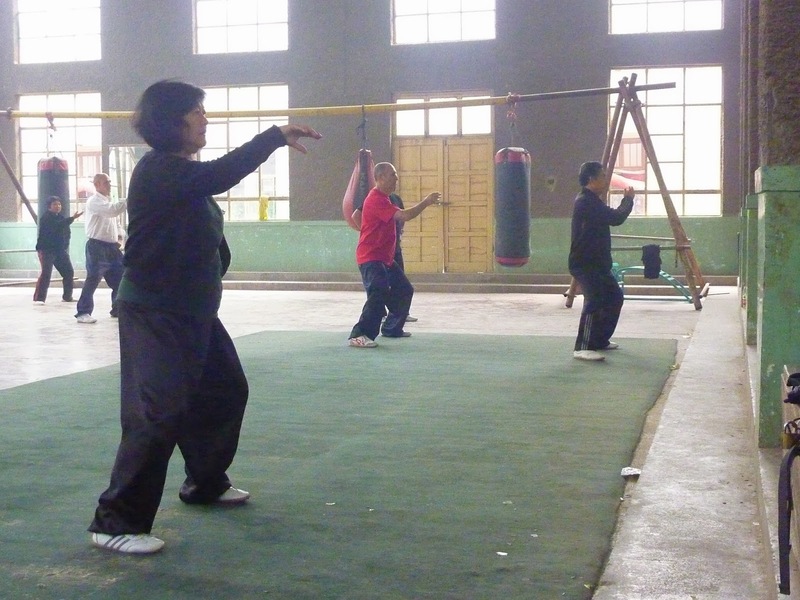 Chen Xiaoxing stated that it is impossible to reach a high level of Taijiquan without having a deep understanding of Chinese culture. "Students can reach a low level by copying the movements, but they could never hope to realise the depth and subtlety of Taijiquan without this understanding". To the Chinese the idea that there is no such thing as Qi is just as ridiculous. To them Qi is an ever-present feature of life. Within the Great Dictionary of Chinese Characters, a vast compendium of Chinese characters spanning 8 volumes, no fewer than 23 different categories of Qi are listed. Categories such as: mood, morale, weather, energy, structure, vapour, momentum, destiny, spirit, meteorological phenomenon, atmosphere, strength, destiny, breath, smells... Within each category again, there are numerous different types of Qi. To people who say that you cannot see or measure Qi, I would suggest they are looking in the wrong place. It has always been said that while Qi itself cannot be seen, it's effects can be felt. Doesn't it feel different to be fully energised than to be depressed? The Chinese use the expression Shen Qi to describe a state of heightened energy, self-confidence and pride (in the positive sense). Look at someone who has just won an Olympic gold medal or scored the winning goal in the dying seconds of an important football game. Compare the feelings they have with those of someone lacking drive and self-belief. Another way in which Qi is understood within Chinese culture is in terms of momentum. 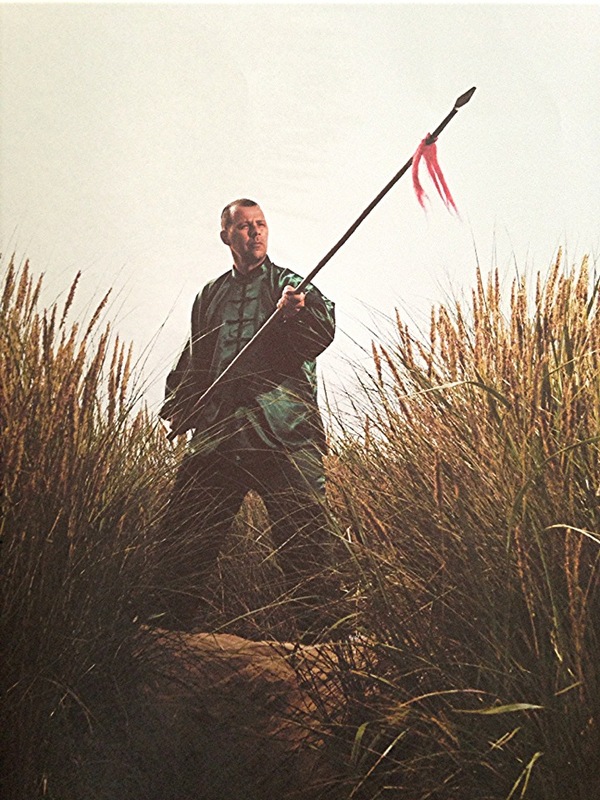 In literature, art or martial arts mastery is achieved when a movement is completed in one swoop with no hesitation. 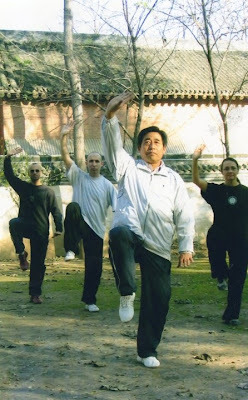 When I started training Taijiquan one of the main differences I became aware of between the good practitioners and the majority of western practitioners was a kind of inhibited way of doing Taijiquan. As if they were constantly afraid of making a mistake. In literature, arts or martial arts, mastery is achieved when movement is achieved with no hesitation. After twenty years of training they still stop every movement put their hands on their coccyx to physically check that they are in the right position. 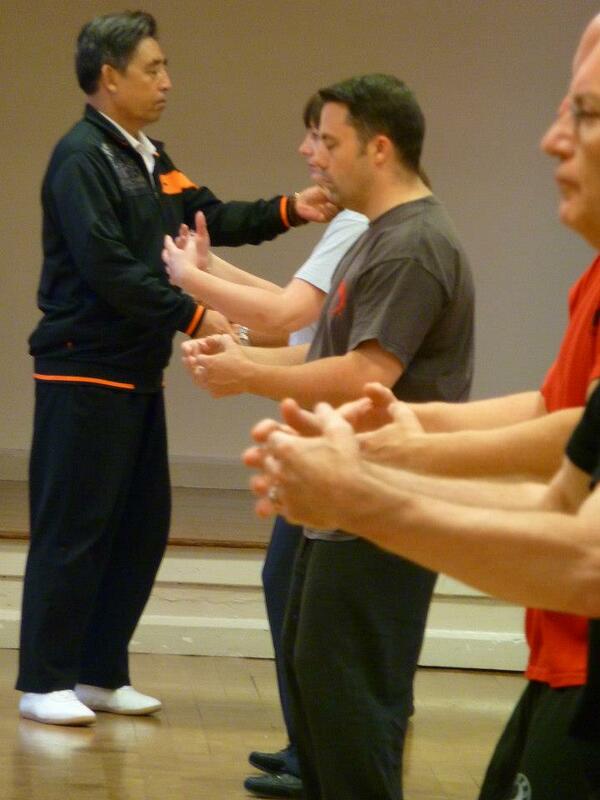 Don't get me wrong - Taijiquan requires constant rigorous attention to detail. 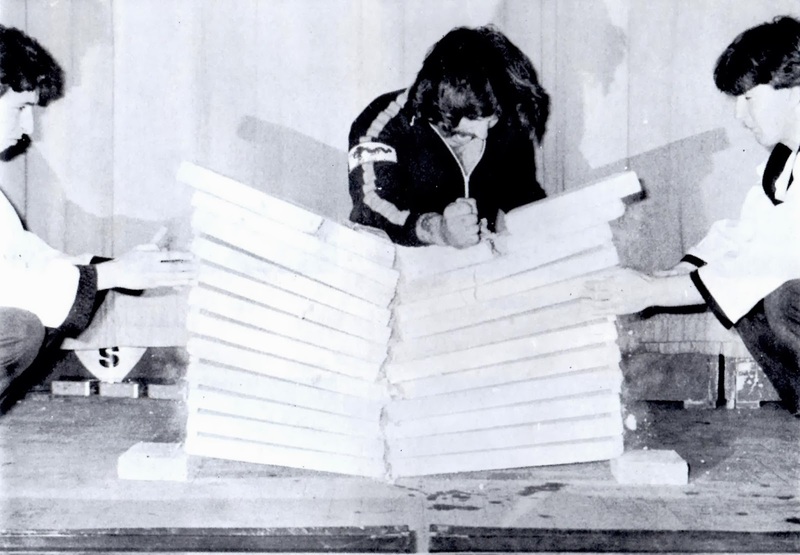 But it also requires that a practitioner should exhibit spontaneity, fluidity and naturalness. At some point you have to start FEELING whether the position is correct. In an earlier blog post I wrote of Chen Xiaowang's response to the question of differences between Western and Chinese students. In his opinion one of the major differences was that Western students paid more attention to the external position and Chinese students paid more attention to the feeling of the movement. Students often spend so much time agonising about Qi and trying to understand it in terms of their own culture which inevitably leads to approximations and misinterpretations. Taijiquan v Thai Boxing! 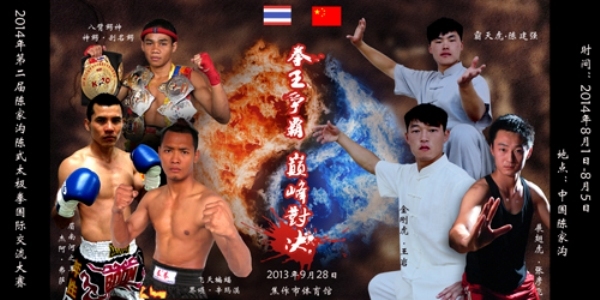 On September 28 in Jiaozuo, Henan, China, 5 instructors of Chenjiagou Taijiquan Xue Xiao will be fighting 5 Thai Boxing champions from Thailand. Chen Taijiquan has a proud record as one of China's most traditional fighting arts. 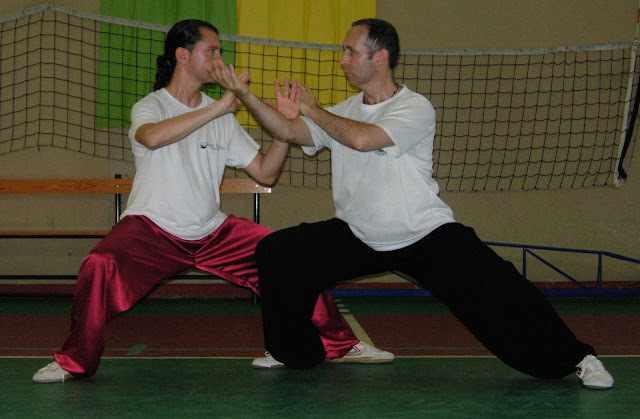 We all know that it is a great form of exercise beneficial for everyone regardless of age and level of fitness... but somehow the martial aspect has been downplayed in the West (and to a lesser extent in China itself) to the point that, as one of my students put it, people think it is nothing more than "yoga done standing up". This is in danger of becoming a self fulfilling cycle as more and more people think that Taijiquan is the least challenging form of exercise, only fit for geriatric people. I read a book review the other day of someone who mentioned that his mother, who was in her 70s, had taken a Taiji class. She told him she wouldn't be going back as it was not challenging enough. In her words - "the walk to and from the class was more exercise than the class itself"! 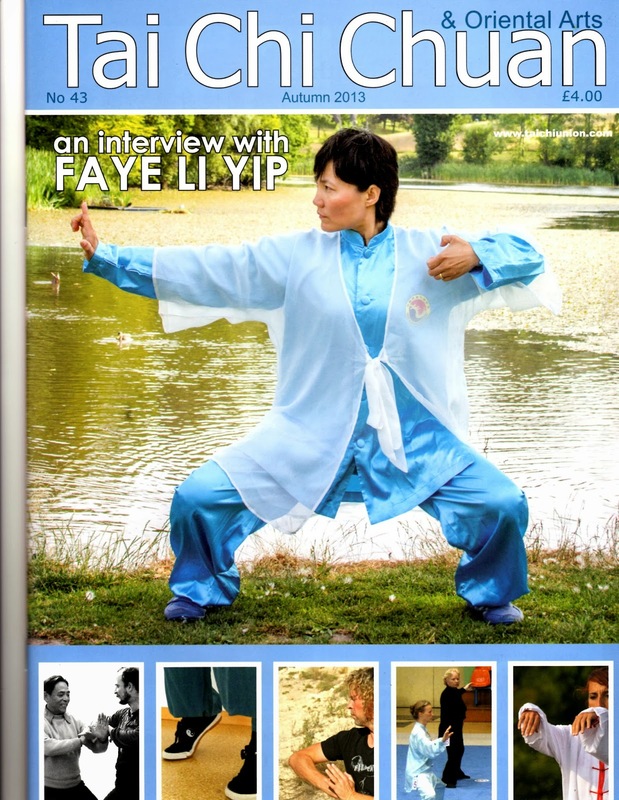 I am 100% in favour of an inclusive approach to Taijiquan. Yes it can be done for health, Yes it can be done for personal cultivation, and Yes it is a powerful and dynamic martial art! The best way to show this is for elite practitioners to show this aspect to the world. This event is being billed as a "Champions Showdown" and a cursory look at the fighting records of the competitors shows that it promises to be great night's action and a stiff test for the lads from Chenjiagou. 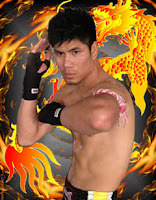 (the Thai fighters names are not included as it was difficult to decipher them from the Chinese text). 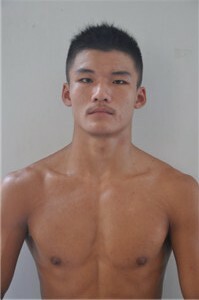 Fighting at 75Kgs, Chen Jianqiang is the current over 80Kgs China national Push Hands champion. 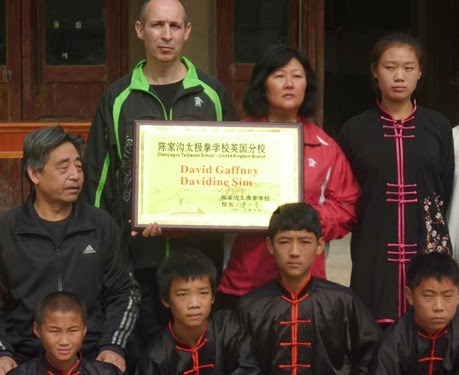 A hugely experienced Taiji competitor and winner of many push hands titles including - 2008, Henan province open-weight champion, 2009 Hunan province Championships 80kg champion and consecutive wins at the 2011 & 2013 Jiaozuo International Taijiquan Push Hands competition. His opponent was runner up at the 2011 Thailand Bangkok tourney and was the 2012 Thailand WBC Muay Thai Tournament Champion. His fight record is an impressive 79 fights with 63 wins, 6 losses and 10 draws. Wang Jin Hu from the Chenjiagou school was runner up in this years China national push hands tournament and was a gold medallist at the 2012 Chen Village international tournament in the traditional handform, long pole and push hands divisions. His opponent is a seasoned and successful fighter boasting a professional Thai boxing record of 125 fights, with 114 wins, 8 losses and 3 draws. He was the 2010 Thailand Bangkok Prince's Cup Tournament champion. He was also competed under MMA rules winning the 2011 Beijing 3MMA championships and competing in the 2012 Xian MMA championships. At 60kg Wang Yan was the 2008 Henan province push hands champion; the 2009 Hunan province championships winner at 65kg; and won consecutive push hands titles at the 2011 and 2013 Jiazuo International tournament. His opponent was runner up in the 2010 Thailand Bangkok "King's Cup; winner of the 2011 Zhanjiang Sino-Thai tournament and the 2012 Thailand Bangkok "Prince's Cup". 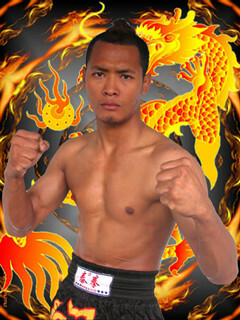 He has a professional Muay Thai record of 58 fights, with 48 wins, 7 losses and 3 draws. 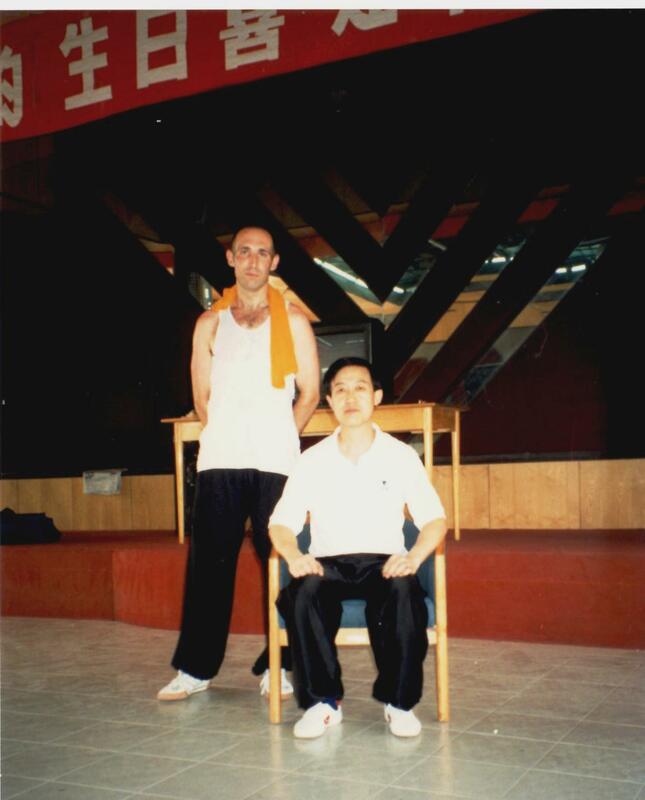 Also at 60kg, Chenjiagou's Zhang Yanfei was runner up at the 2007 Jiaozuo International Taijiquan Conference and winner at the same competition 4 years later in 2011. This bout is made at 65kg. His opponent has a fight record of 57 fights, winning 40, losing 14 and drawing 3 times. 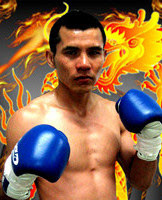 His championship wins include: 2009 Thailand Chiang Mai International Thai Champ; 2010 Thailand free Style Tournament; 2011 Jiangsu Bruce Lee Jeet Kune Do World Cup Championship; and the 2012 Inner Mongolia Championship. The final bout is made at 70kgs and features the Chenjiagou Taijiquan School's Ren Gaochen who first place in the 65kg class in 2012 in Chenjiagou in the international push hands tournament. His opponent is a seasoned campaigner who has had 95 fights, winning 78, losing 10 and drawing 7. His successes include: 65kg champion of the 2010 Thailand Muay Thai year-end finals; runner up at the 2011 Thailand Muay Thai King's Cup; and champion of the 2012 Thailand Muay Thai North-South War. 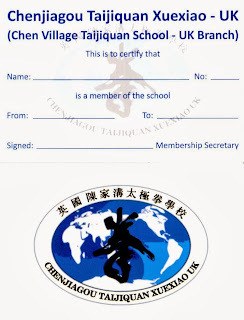 I've been to the Chenjiagou Taijiquan School many times over the last decade and have watched these guys growing from kids to formidable Taijiquan practitioners. 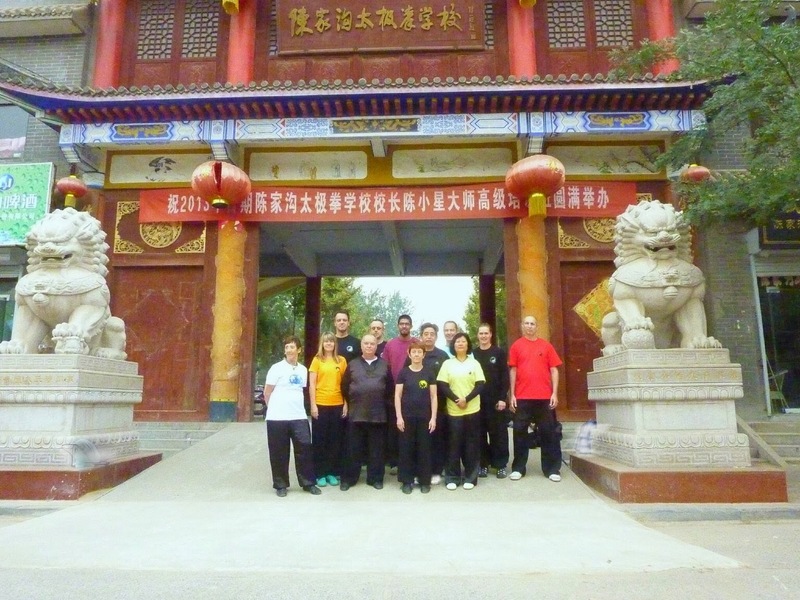 It's great to see them stepping up to the plate to take this challenge, not just for Chen Taijiquan, but for Chinese martial arts as a whole. Just like to say good luck guys!!!! Just got back from visiting one of our school's instructors and good friend Lee Davis-Conchie. It was a good day to visit. 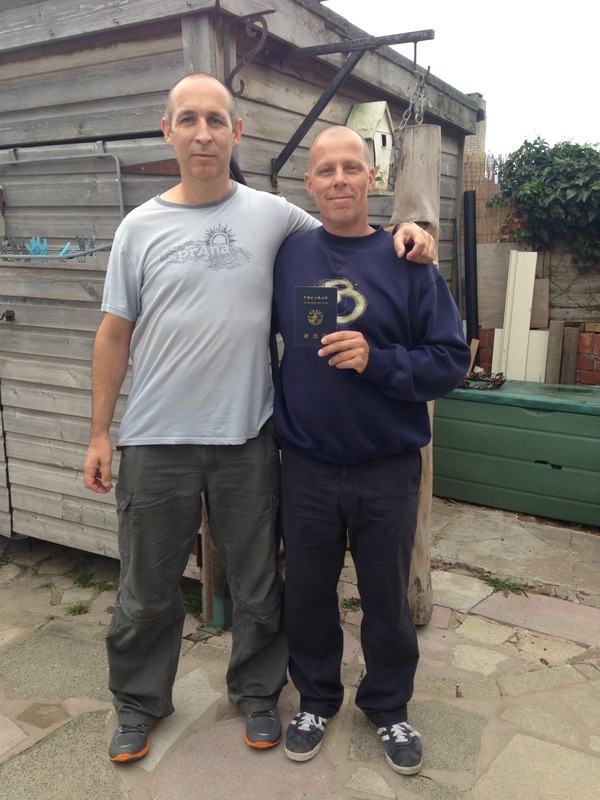 Lee has been battling leukaemia for the last couple of years. Today he got the fantastic news that he is in remission and is set to have a life-saving bone marrow transplant. Usually people have a transplant after two lots of chemotherapy. This will be Lee's second transplant and he has just finished his ninth lot of chemo - the last lot being particularly hard. What's this got to do with Taijiquan? 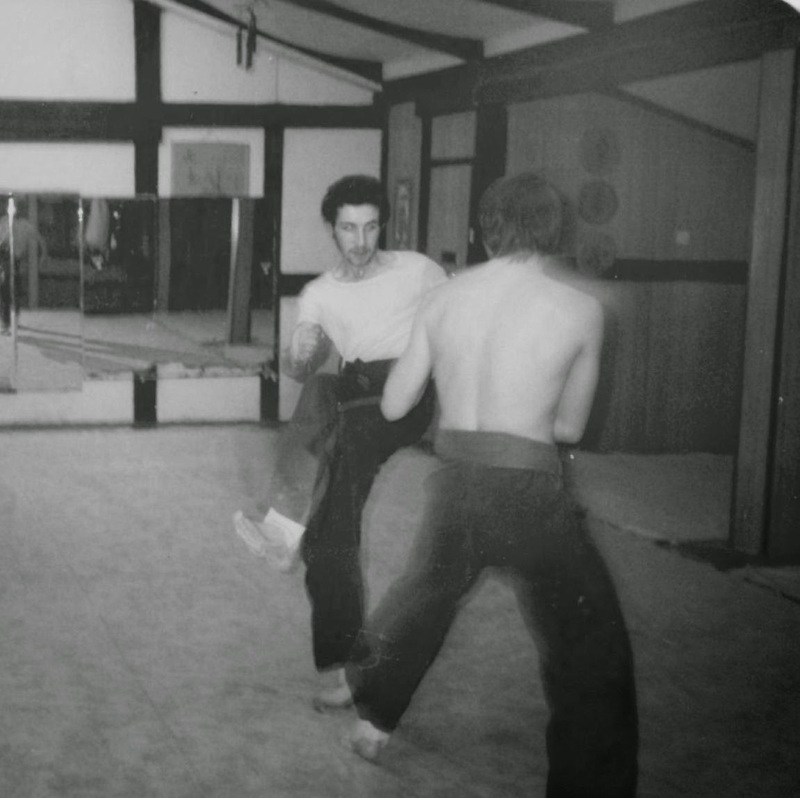 Throughout his battle Lee has never stopped training. 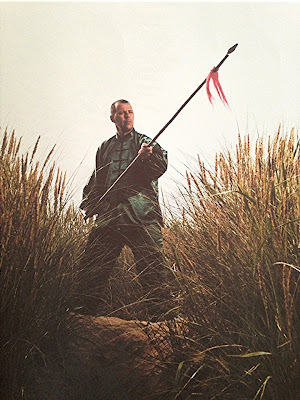 Staff in the Blackpool General hospital were dubious about him training his spear form after a day's chemotherapy! He has often come to class with a Hickman line sticking out of his chest - I confess to having been ignorant as to what this involved - its a line inserted into a large vein just above the heart, the other end hanging out of the chest, for drug administration etc... Last year he "broke out" of the cancer ward to come to Chen Ziqiang's seminar. In a reversal of the usual end of session photos Chen Ziqiang asked to have his picture taken with Lee, saying that his attitude was inspirational! "yaaaah I'm going out/I've just been out to do some Laojia". Just out with no excuses and doing it. Lee's attitude brings to mind a conversation we had with Tian Jingmiao, disciple of one of Chen Fake's most famous students Lei Muni. She compared Taijiquan training to brushing her teeth - just a normal part of her everyday routine - Nothing to make a big fanfare about. 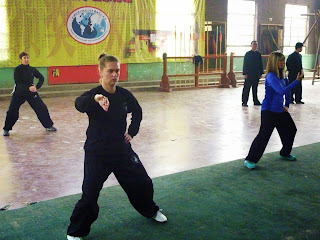 Real achievement in Taijiquan, or any other martial art, comes from doggedness and consistency. We've all seen the flashes of blinding enthusiasm that have to be shared with everyone else - usually by beginners who shortly afterwards move on to the next thing. Or by those who desperately want others to know they are doing a bit of training. Serious practitioners have long since simply accepted training as part of their normal routine. Is it possible to make a sudden leap forward in skill? 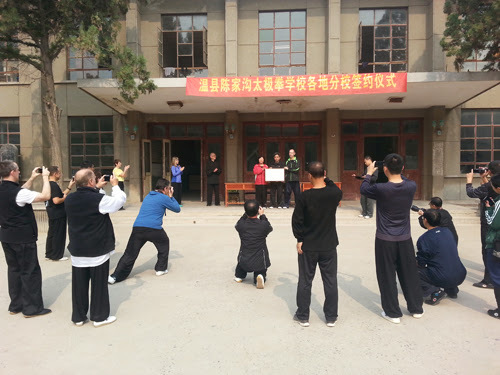 "Practice quan a thousand times, the skill will transmit itself"
To learn Taijiquan one needs a gradual and systematic progression, from the elementary to the advanced level. Anyone who goes against this tenet will not succeed! We can't really be any clearer than that, can we? Zhuangzi's Daoist classic summarises the only really effective way to approach learning:: "Neither deviate from your instructions, nor hurry to finish. Do not force things. It is dangerous to deviate from instruction or push for completion. It takes a long time to do a thing properly". Likewise, there is a saying that is often repeated in Chenjiagou that "you should treat ten years as if it were one day". China's rural martial arts have long accepted the need for patience and the acceptance of following the rules for an extended time. Chen Xin (16th Generation): "All idle talk does is to create a tide of black ink; actually putting it into practice is the real thing". Chen Fake (17th Generation): "How much you accomplish depends entirely upon how much effort you put in..."
Chen Zhaopi (18th Generation): "Besides having the direction of a good teacher,the main criterion is whether the person himself is willing to put in the hard work". Chen Xiaowang (19th Generation): "train diligently, ignore tiredness and accept the need for hard work". "Train diligently and accept the need for hard work"
"... a person should practice diligently and persevere unremittingly. It is not possible to have a quantum leap. This is wishful thinking, a pipe dream. There are no shortcuts". 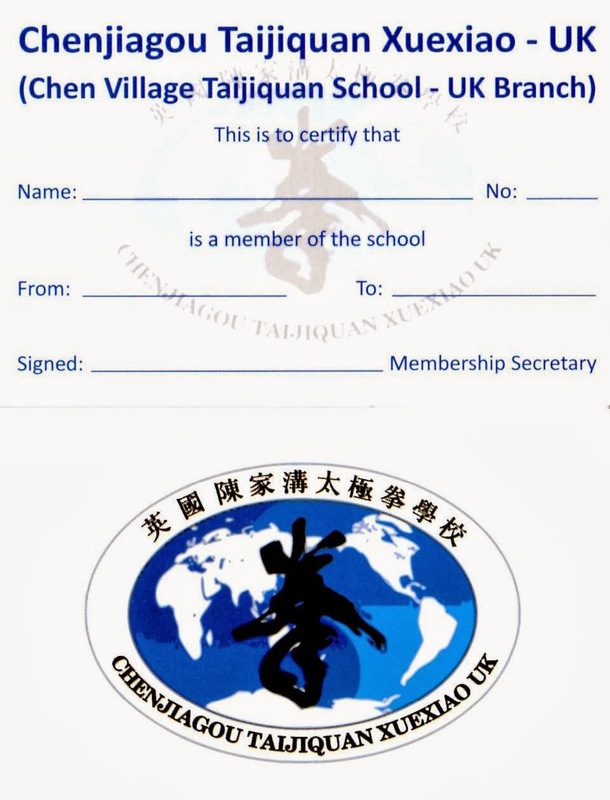 On July 1st 2013 Chen Ziqiang, Chief Instructor of the Chen Village Taijiquan School (Chen Taijiquan Xuexiao) and David Gaffney and Davidine Sim, founders of Chenjiagou Taijiquan GB (CTGB) signed an agreement making CTGB the official UK branch of the Chen Village Taijiquan School. This was a proud moment for the school and follows a relationship of nearly two decades. 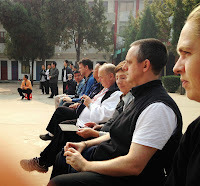 We first visited Chenjiagou in the mid 1990s. At that time it was a very different place than today. The two large roads that bisect the village had not yet been laid. 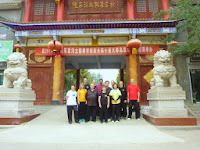 The new family temple, the Taijiquan museum, the impressive façade at the entrance of the school were not yet built. There were no western-style toilets or showers. I vividly remember a blisteringly hot July day on that first visit when we walked through the fields to be shown the memorial tablets of some of the most venerated ancestors - Chen Bu, Chen Wangting, Chen Fake, Chen Zhaopi… The reverence in which the tombs were approached made it obvious that these were important figures in the history of Chen Taijiquan. But on that first visit they all seemed to blur into each other. Today they are all comfortably familiar names. Meko Parkinson David Gaffney, Neill Baker.Front: Gynn Williams, Mary Shah, Davidine Sim, Dave Ashby. 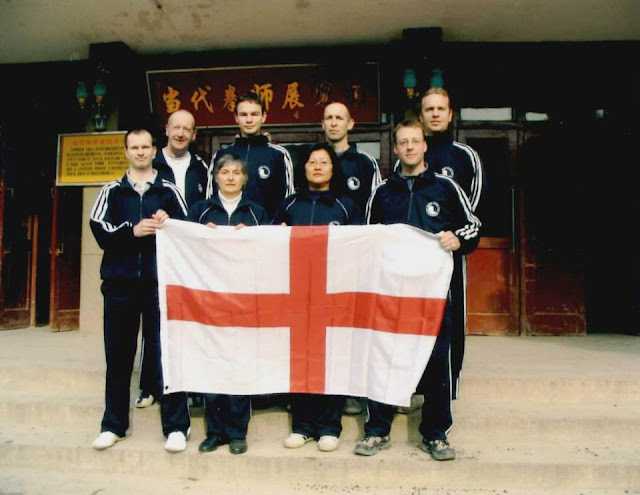 After several more visits on our own, in the winter of 2003 we were ready to take the first British group to train intensively in the Chen Village School with GM Chen Xiaoxing. During our stay Chen Xiaoxing closely supervised the group’s training. Every day the routine was the same - five hours formal instruction and then self-practice to consolidate the keypoints we covered that day. 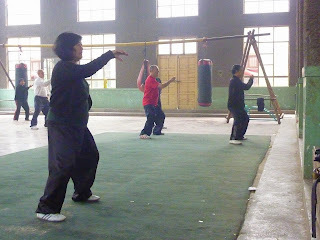 For nineteen days GM Chen worked slowly through the Laojia Yilu routine. Chenjiagou can be very cold at the end of November. It is situated on flat, open farmland, so there’s little protection from the cold northern winds that regularly blow in. 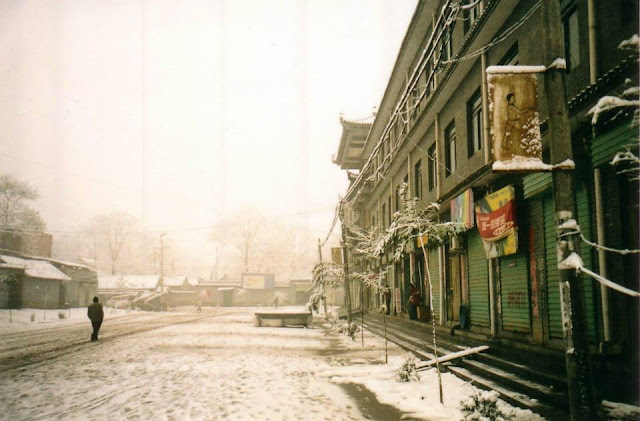 That year it was so cold that the group weren’t interested in buying souvenirs when we got the chance to go into the nearby Wenxian, but all got excited to see some thermal underwear. The largest pair I could get were about two sizes too small and for the next few weeks it felt like training with a spring-loaded crotch! Chenjiagou Winter 2003 - it was as cold as it looks! 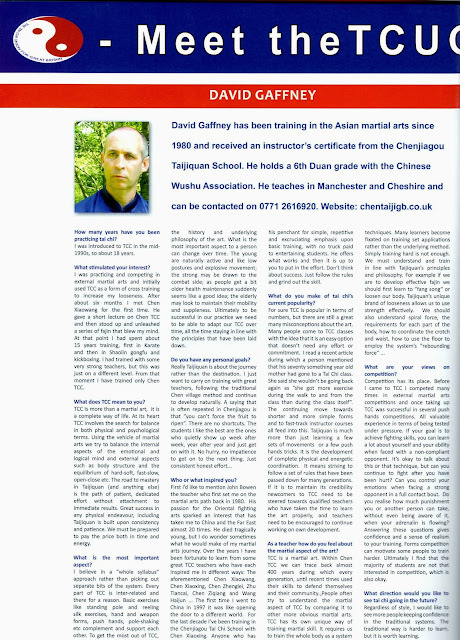 The first group was eight strong and was joined by two Chinese guys who were in the school at the time – a Xingyi guy who soon picked up the colourful nickname of “Handsome Horse” and a Sanda practitioner. Since then we have returned to the village just about every year, often twice a year, to study and learn from Chen Xiaoxing’s personal brand of old-school training. 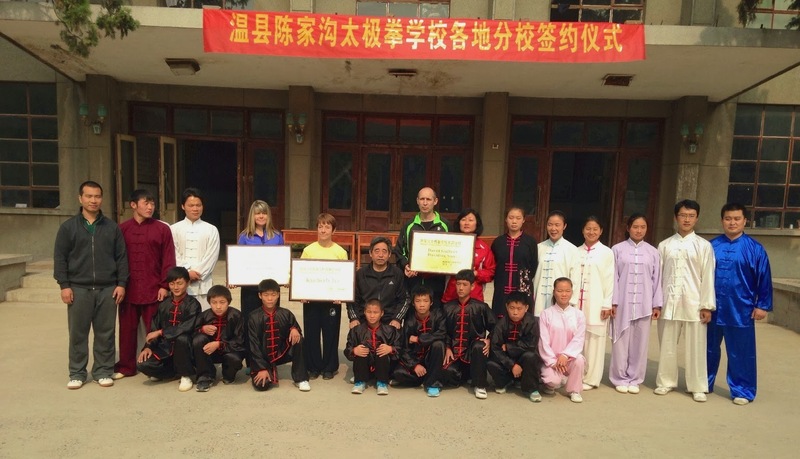 To date most of the students from our advanced class have been to the Chen Village School to train with him - some many times. As I write the next group is chomping at the bit for this year's trip in October. disturbed a few times during training by the regular groups of Taiji tourists who came to look around the village (before getting back in their buses to go to the next place of interest). Chen Xiaoxing was clearly losing patience with the interruptions when he simply said “follow me" and marched off. We followed him out of the school, down the street and into the house that belonged in the past to Chen Dehu. We went through the building into the garden where Yang Luchan had famously learned from Chen Changxing. 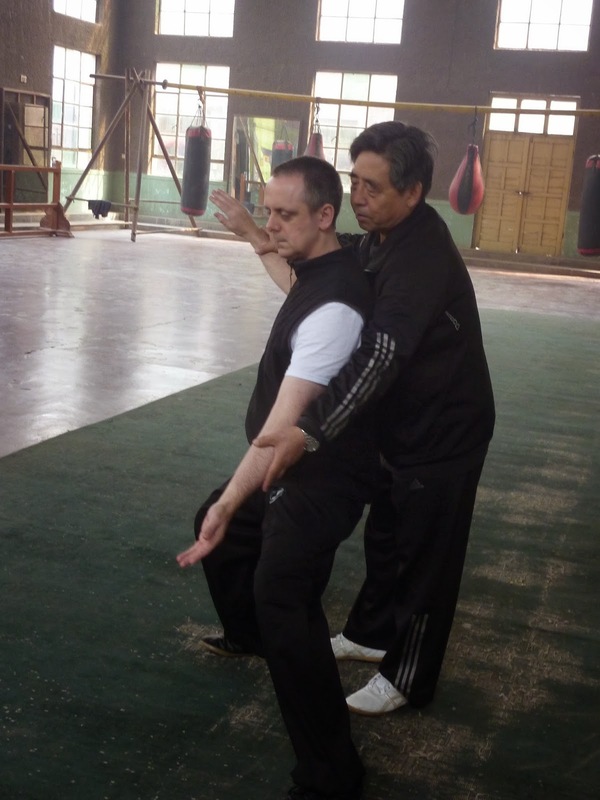 In a traditional martial art like Chen Taijiquan its vital that you appreciate the system’s history and your own part as a link between past and future generations. Training that afternoon one could feel a palpable sense of this history. This is the place that Chen Changxing, the fourteenth generation gatekeeper and famous “biaoshi” or merchant guard, trained. Lying on the floor was a stone that he is said to have used to sharpen his weapons and another that was used for strength training. Perhaps it was here that he synthesised the Laojia routines we practise today from the original forms of Chen Wangting?! 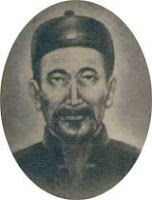 In another corner is a well into which Chen Zhaopi had thrown himself, unable to bear the persecution he suffered during the dark days of the Cultural Revolution. 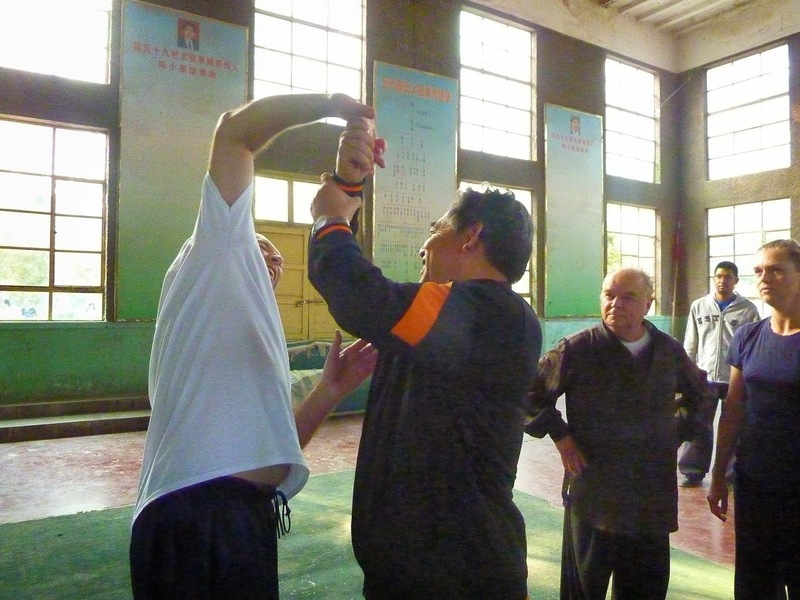 Chen Zhaopi is credited with reviving Taijiquan in its birthplace after decades of poverty and natural disaster had seen it almost disappear. Over time these and many other stories of Chenjiagou have become personal, no longer feeling like legends from someone else’s history. At some point a mental switch took place when we were no longer outsiders looking in, but a part of the Chen village school. Over the years we've watched young students in the school mature into dynamic instructors in their own right. Walking into the Chenjiagou school now is going back to be met by friends. Training the source not the symptom: People are often attracted to one particular aspect of Taijiquan - it might be low postures, push hands, fajin, flowing movement... Then they focus exclusively on that aspect. It's all very well taking a low posture, but can you respond from that position? did you get down following the correct spiral path and can you get back up smoothly? Is the posture correct, or have all the body requirements been compromised to get down lower. We can compare this to Chinese medicine - when illness occurs it is not enough to treat a patient's symptoms, instead one must treat the root cause of the illness. 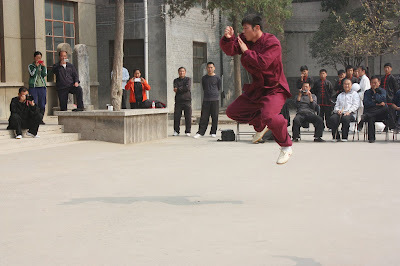 In Taijiquan the source is silk reeling movement. We should learn and apply the basics in order to get to a high level. Silk reeling movement is achieved when all movements are circular with no straight lines or acute angles. Training the method not the manifestation: We must train the whole body as a system rather than training individual techniques. Many learners become fixated on training applications rather than the underlying method. This is like a maths student trying to remember the answer of every possible computation rather than learning the formula to be able to find the solution to any problem. So we have to concentrate on the body as a whole rather than parts of the body. When we do think about any particular part, this should be understood as a process towards achieving the whole body as a system. This is the traditional way and over the years I have tried to apply this advice. For sure, at first it was not easy to understand the importance of some aspects or requirements, but with time you come to realise that everything is there for a reason. Why do the teachers all do it differently? I've been asked many times why do the teachers all do it differently? One of the most puzzling things to many Taijiquan students is why the teachers from Chenjiagou all seem to be so different. After all they trained with, for the most part, the same teachers, how is it then that they come to look so different? First lets be clear what we are looking at. Chen Taijiquan is an internal martial art where every movement is led by one's intention. Chen Xin used the analogy of a writer composing an essay to illustrate the use of intention: "As the pen moves it carries the intention of the writer, producing on paper what the writer intends. What the mind plans, the hand writes. The writing requires the full attention and complete focus of the writer". 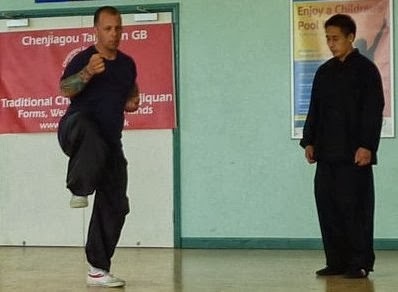 As Taijiquan students begin training they have to concentrate very hard on what to do as they are doing it - where the weight is, the position of the hands, angle of the body etc etc... As a result, the mind can become tense and movements can become disjointed and not free flowing. It needs an extended period of persistent practice to become natural, unforced and uninhibited. To go back to the writing analogy. If we think back to how we first learned to write. First we were shown the letters of the alphabet. We were taught the rules of what made an "a", what made a "b"... and so on. We would painstakingly copy out a letter over and over again until we fulfilled the rules for each particular letter. Then we would begin to string the letters together to form words, spelling each out carefully. In time we would "suddenly" be writing fluently and effortlessly. 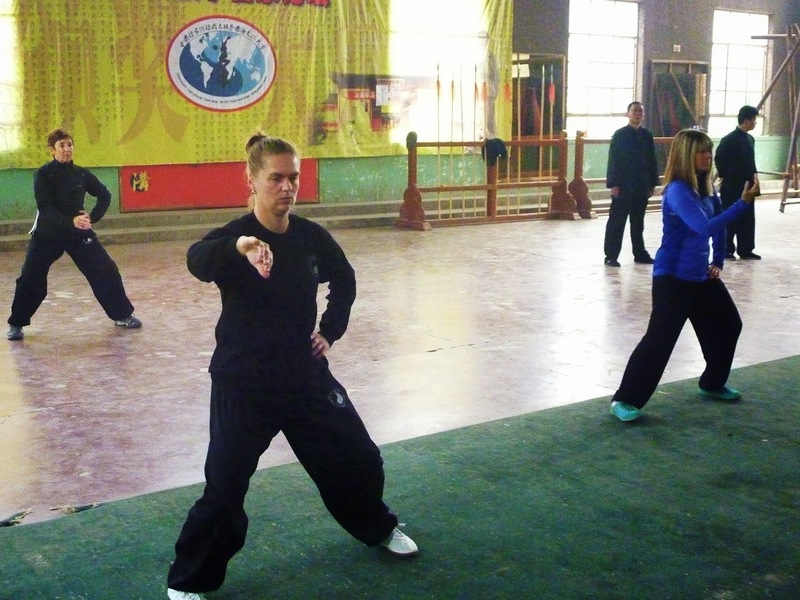 Taijiquan follows the same process. First learning the rules for each part of the body, learning how to move in the required way. As the requirements become second nature and we are no longer concerned with where the hands should be, the angle or direction, where the weight should be, our movements become "internalised". We are not surprised when each of our classmates develops their own distinctive handwriting. As long as they continue to stay within the principles we can understand what they write. The same should hold true when we see the differences between the Taijiquan masters. Anyone who finds it difficult to reconcile the variations between Chen Xiaowang, Zhu Tiancai, Chen Xiaoxing, Wang Xian, Chen Zhenglei et al... is perhaps guilty of confusing the manifestation with the method.